Today our kids enjoyed another day home from school. 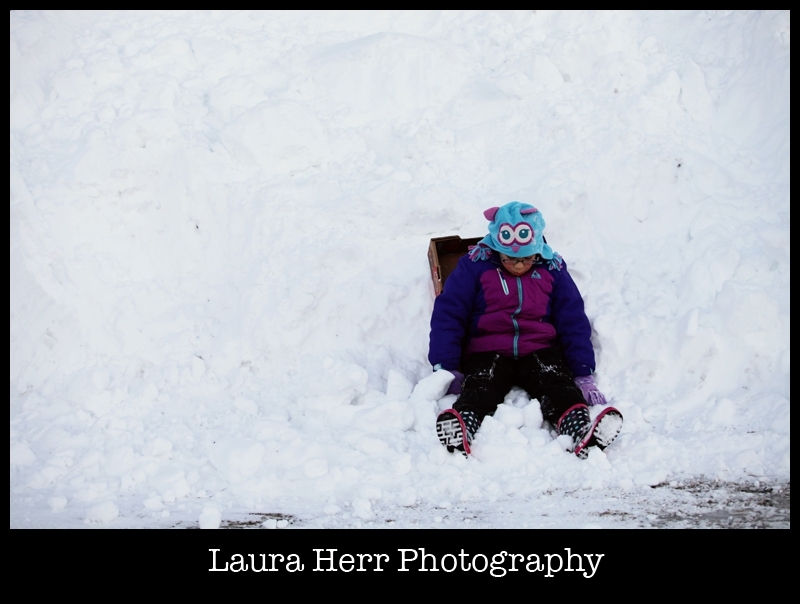 Apparently, that is what a few feet of snow will do to a town. They did some work and enjoyed a few Netflix shows. Their favorite one these days is Woody Woodpecker, which makes me smile. 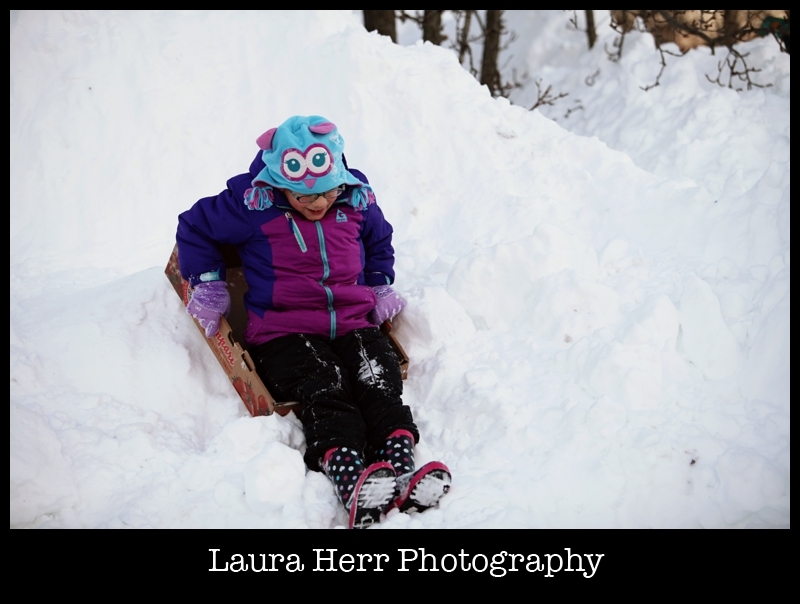 And since they were begging all day to go outdoors, by late afternoon, I finally relented. 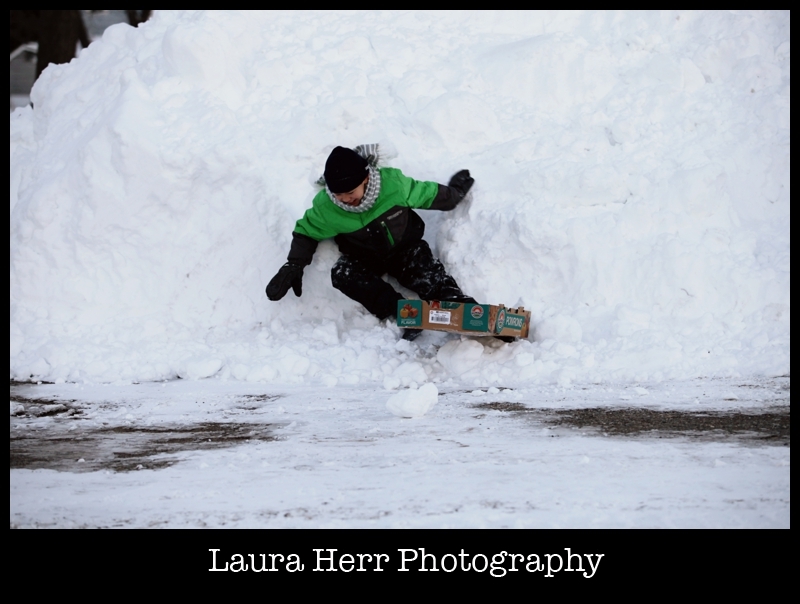 And that is where I stumbled upon my best worst snow day idea. 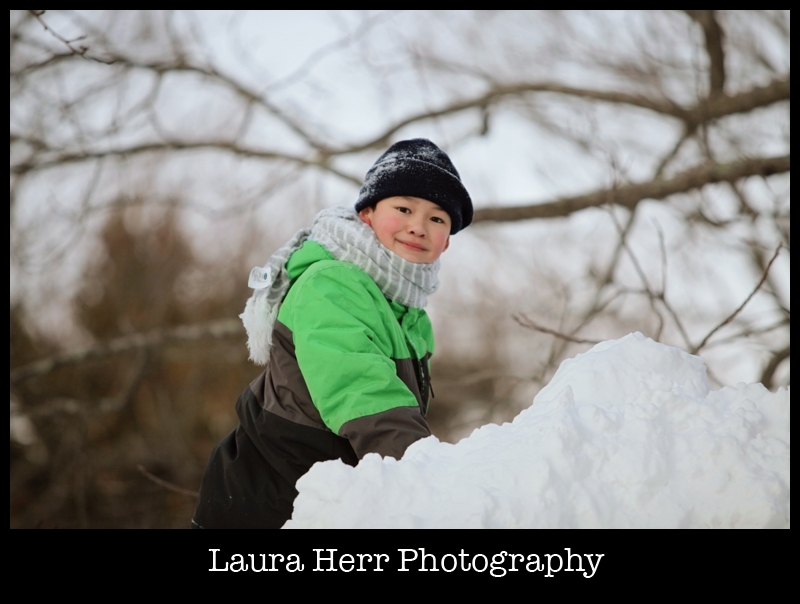 All throughout the day, our friend Mark Northrup worked tirelessly in his huge pay loader clearing the two feet of snow that engulfed the entire church parking lot. 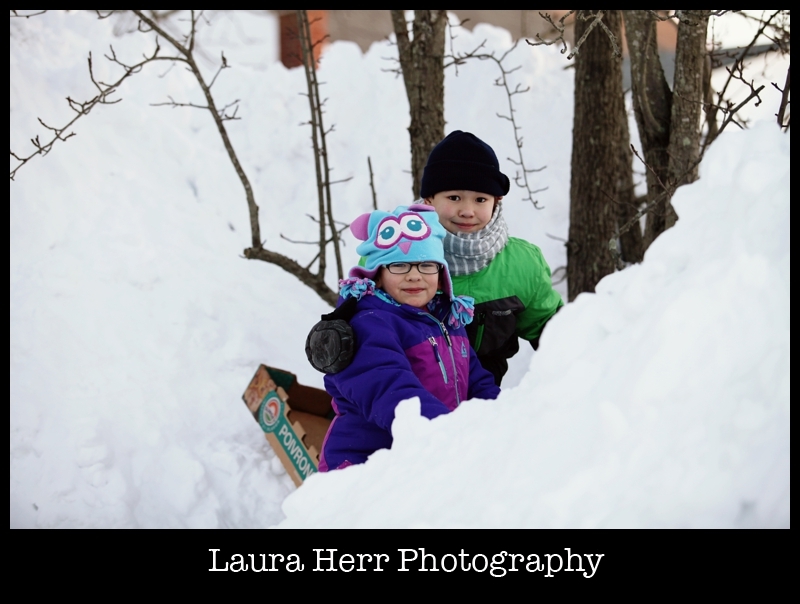 So I thought it would be fun to bundle up the kids and check it out. 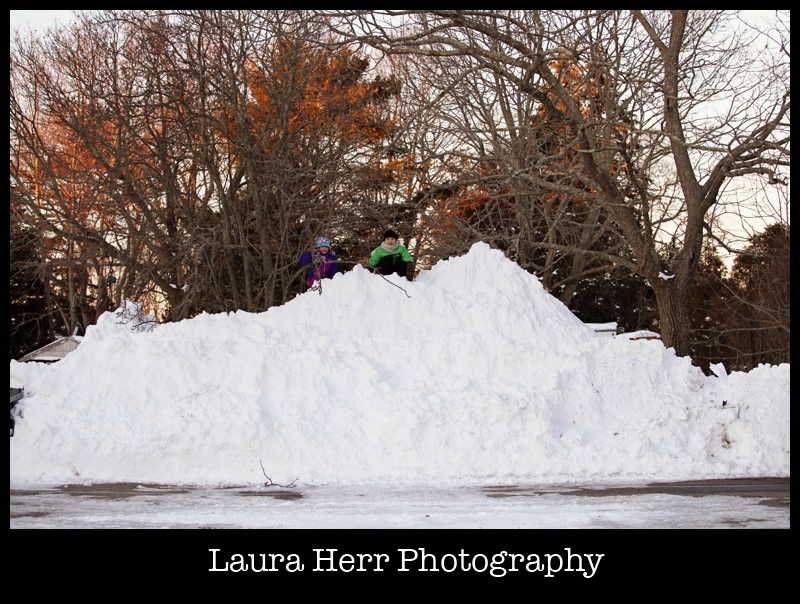 The huge mound of snow let them play amongst the branches of the trees and they were absolutely delighted. But I, standing on the ground, was just a bit terrified. 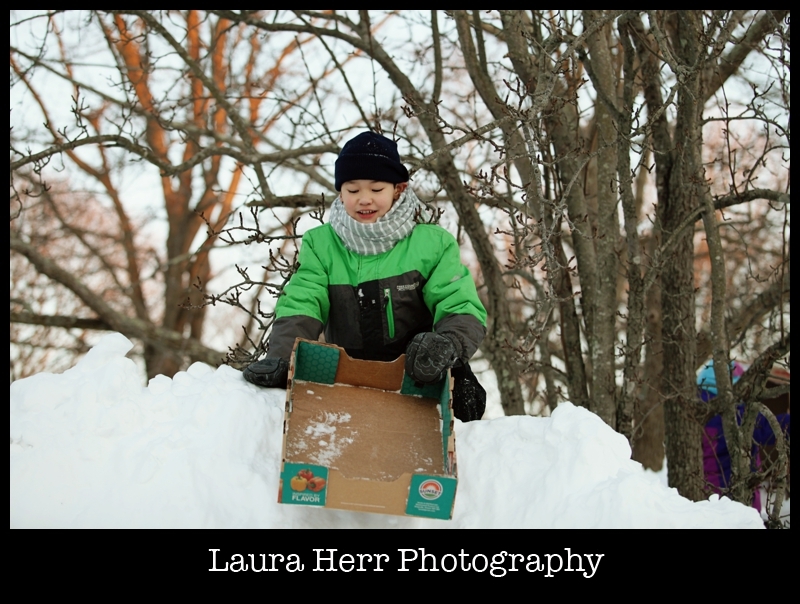 And to add to my fear, was their desire to slide down the hill in tomato boxes from Costco. 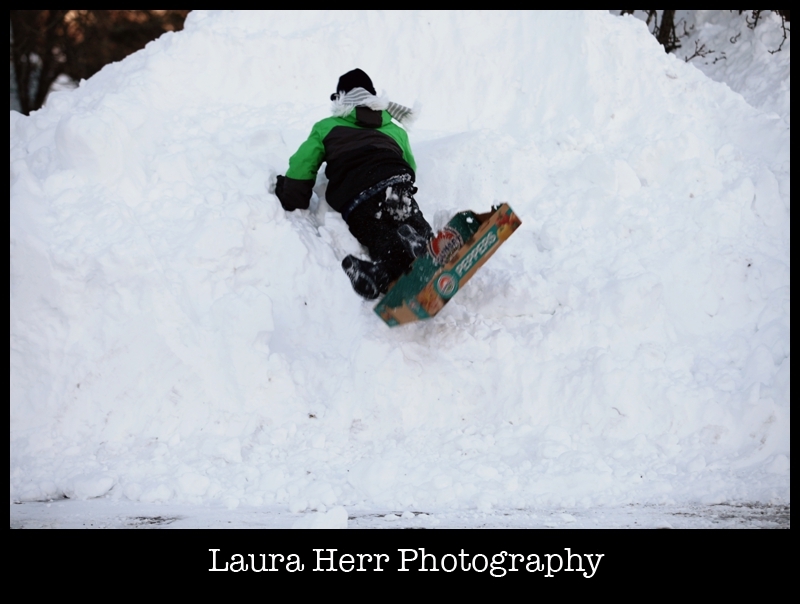 I know we’ve had sleds at some point, but unfortunately they were nowhere to be found. 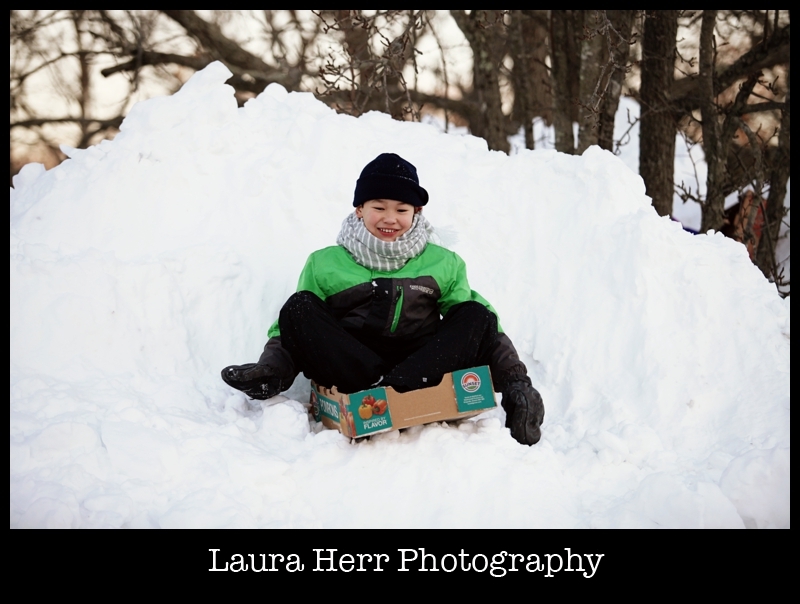 So they were resourceful and brought old boxes instead. Standing at the bottom of the steep hill, I was pretty convinced that they were going to crack their heads opened. And made sure to tell them multiple times. But they didn’t seem to mind. 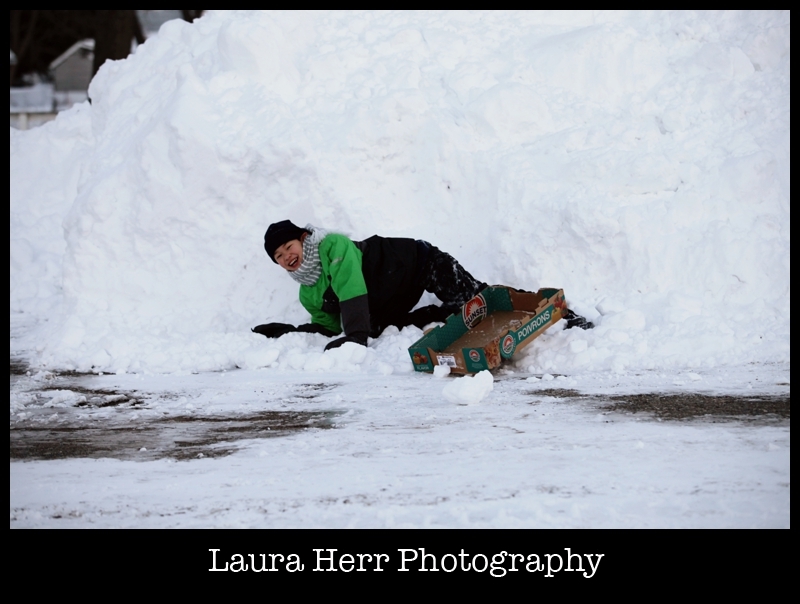 Even as they tumbled all the way down the hill. 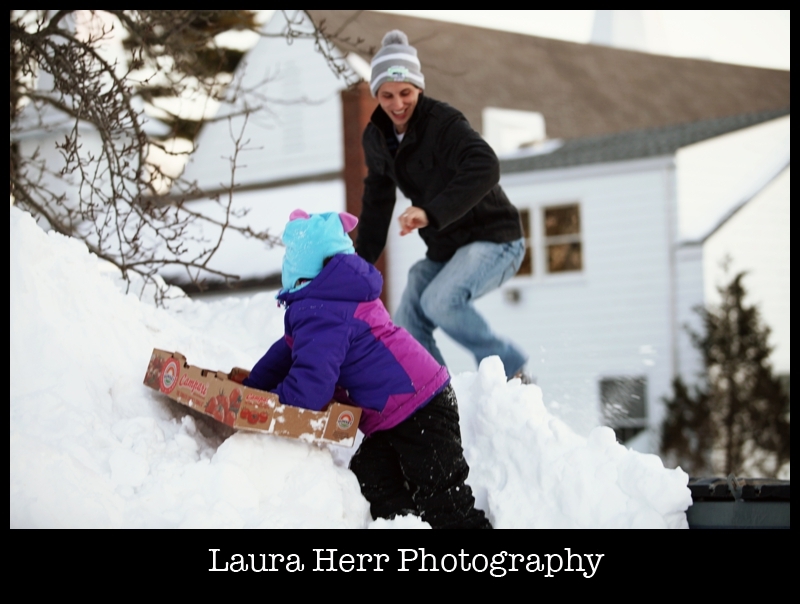 Thankfully, it was a slow and gracious tumble that ended at the bottom with quite a few laughs. 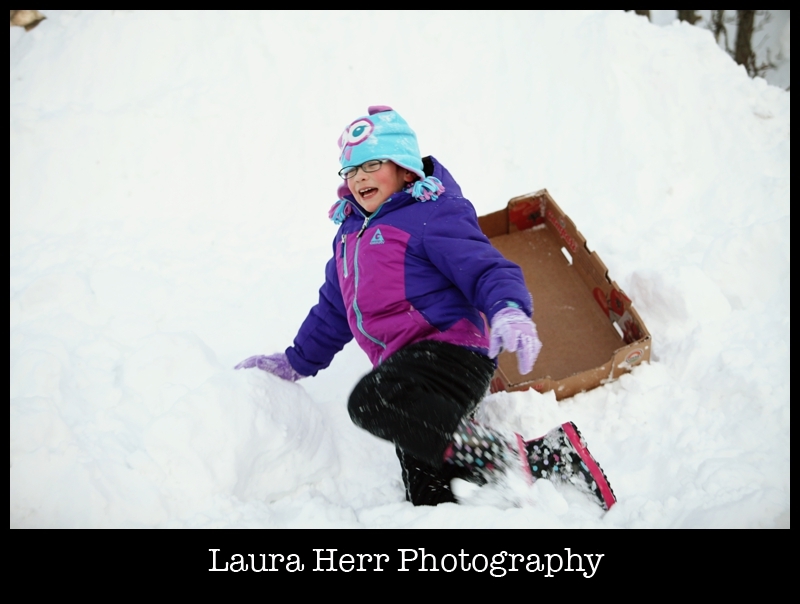 This girl somehow found her fearlessness up on that mountain of snow. 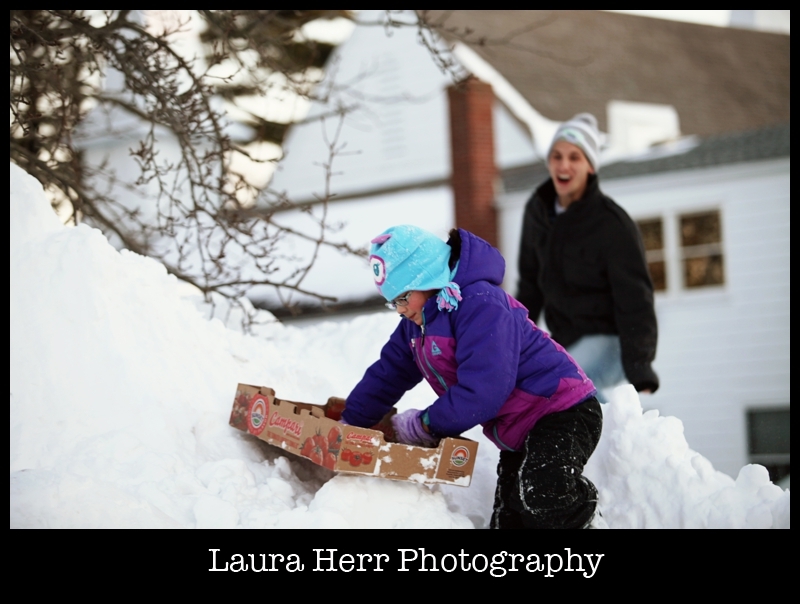 She didn’t seem to mind falling repeatedly out of that old tomato box and came up with a smile every time. Her biggest smiles came when her Daddy snuck up behind her. Because he is her biggest fan and she absolutely adores him right back. To be quite honest, my mother fears kept me from having much fun. 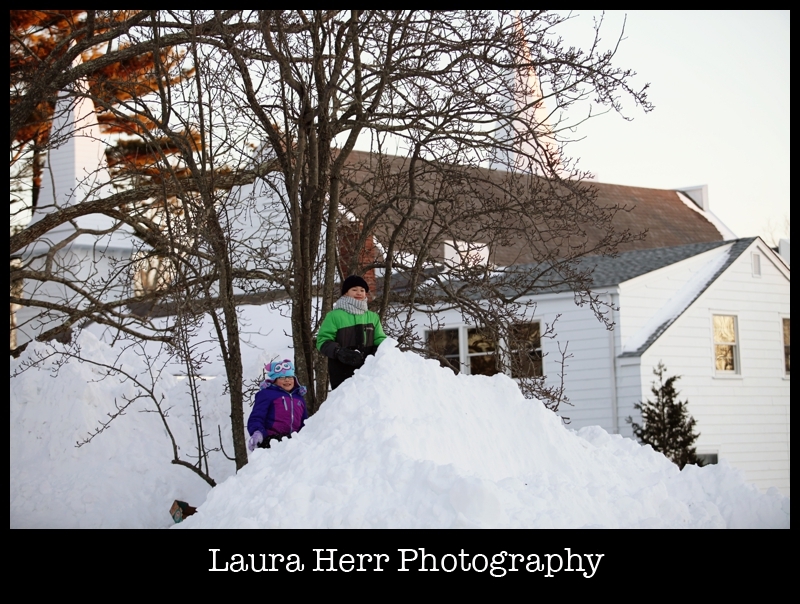 Thankfully, they didn’t deter our kids from having the time of their snowy lives up on that church parking lot mound of snow. They built a fort amongst the branches of the tree and would have stayed out all night had I let them. At the end of the day, I’m happy to share that no one cracked their head open, nor were any eyes poked out from the many branches of the tree. And as the sun set, we enjoyed a few last minutes of much needed play time, before walking home to warm up and have some dinner. It wasn’t my best idea. 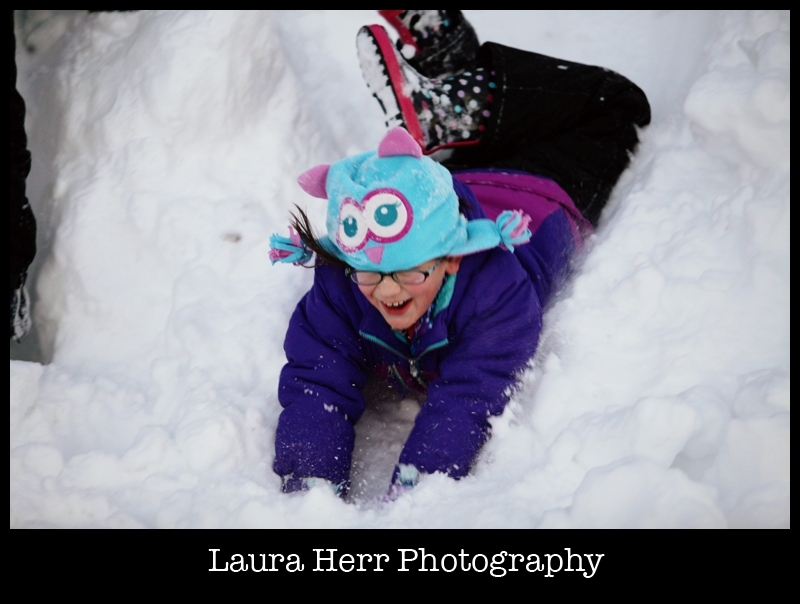 And thankfully wasn’t quite my worst idea either, and in the process made some fun memories for our fun loving kids on their second snow day of the year.